Otto Shelley Dowlen, Jr., of Sour Lake, passed away on Friday March 29, 2019. He was born on July 4, 1939, to Richardine Massey Dowlen and Otto Shelley Dowlen, in Miami Beach, Florida. 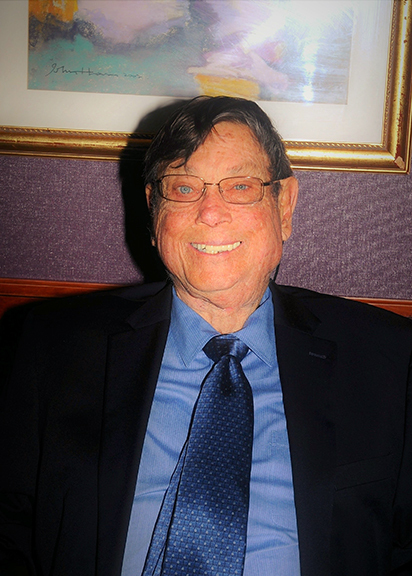 Otto graduated from Coral Gables Senior High School in Coral Gables, Florida in the class of '58. Otto was very proud of his Am Amateur and thoroughly enjoyed attending his class reunions. He went on to attend The University of Miami, also in Coral Gables, Florida. There, he achieved a Bachelor of Arts degree in History and a Master of Arts degree as well. Otto taught history and geography to junior high students in the Miami-Dade school district for 20+ years. His skill set allowed him the unique opportunity to teach abroad in Germany and in Quito, Ecuador. Dad loved the study of history and geography so much that he shared his love with those he visited with; for he was never shy to strike up conversations with old friends nor strangers. It would seem intuitive, then, that he loved to travel abroad, as well as, in the United States and Canada. He took many trips to Europe, Hawaii, and Alaska, with his favorite travel partner, his younger sister, Ricky. Age never dampened his appetite for a new adventure. His surviving family recalls his most infamous quote to be, "When's our next trip??" Dad also enjoyed spending time in passionate discussions about politics. Being an Independence Day baby, he had a natural fascination with the well-being of our nation. Dad is preceded in death by his parents and his sister, Richardine (Ricky) Dowlen McCoy. Survivors include his daughter, Kymberly LaNear and her husband, David, of Sour Lake; granddaughter, Shelley Ryan LaNear Smith and her husband, Jarod, of Beaumont; grandsons, Roger Allen LaNear and David Michael LaNear Jr., both of Sour Lake. Our family would like to extend our thanks to the caring staff at Calder Woods for their kindness and compassion and to the staff at Collier Park assisted living center for their years of service for Otto. A gathering of Mr. Dowlen’s family and friends will begin at 2:00 p.m., with his memorial service to follow at 3:00 p.m., Sunday, April 7, 2019, at Broussard’s, 2000 McFaddin Avenue, Beaumont. Kim so sadden for your loss. It was a pleasure getting to know and serve your father . We will miss him.